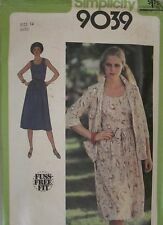 S-8557 Vintage Vest & Pants Sewing Pattern Simplicity Size 10 Bust 32½"
Vintage 1970s Style 3079 Sewing Pattern HOUSE COAT MAXI COAT SZ 14 BUST 36"
Sewing pattern to make: Housecoat in 2 lengths ~ above knee or maxi (ankle length). 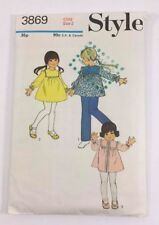 Pattern is dated 1970. 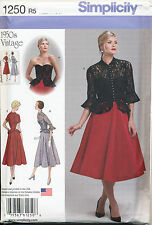 Vtg sewing pattern advance 2869 womens maternity overblouses. 12 see picture 2 for pattern details. Envelope has shelfwear.